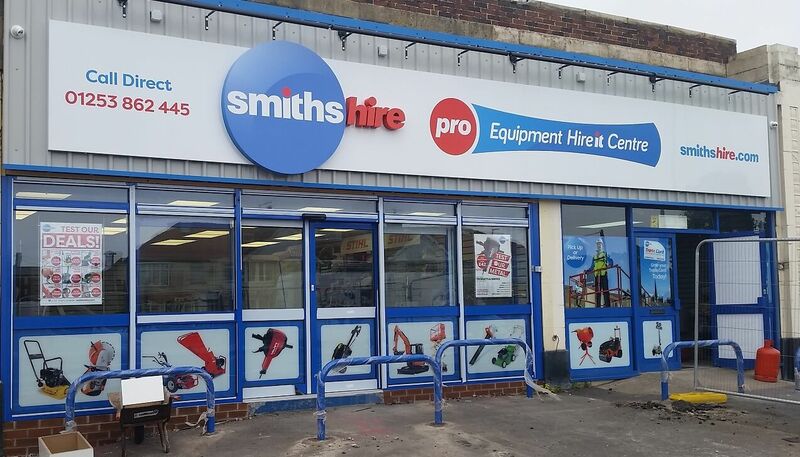 Another satisfied customer following the installation of new signage for Smiths Equipment Hire – Cleveleys Branch. High level signage and window graphics complete the external look for this new site. “The signage looks fabulous, a spot on job and the process was handled very professionally from start to finish” – David Turner, Marketing Director at Smiths Hire.